The mind behind the words of the White House’s most accomplished orator is leaving for Hollywood. 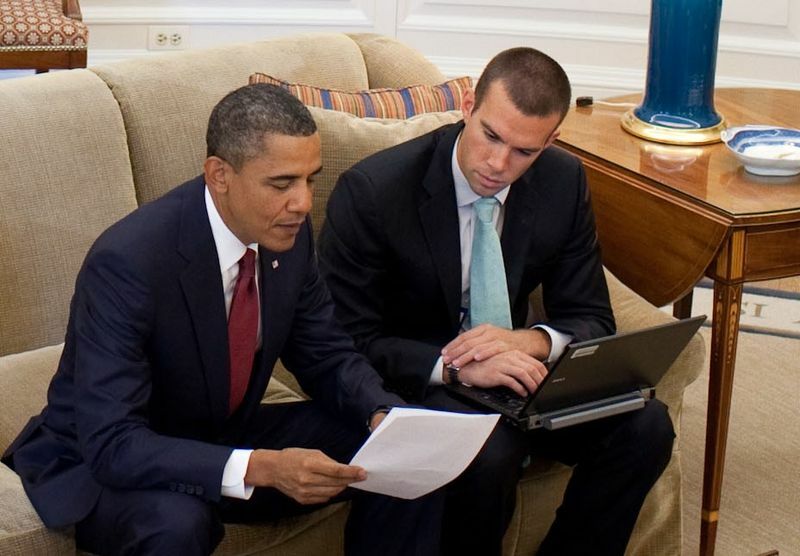 Yesterday, news broke that Jon Favreau, who has been Obama’s lead speechwriter since the early Senate days, will leave the White House on March 1st and try his hand at screenwriting. File this one under “another one bites the dust,” as his departure will come a mere 18 months after Jon Lovett, who worked in the administration under Favreau, departed for Hollywood with a development deal in hand. The result of Lovett’s toils is the new comedy 1600 Penn, which debuted to low ratings and poor reviews. Lovett went the prosaic route with a multi-camera sitcom about a White House family. I’m betting Favreau, with his demonstrable gift for lyricism, will aim a bit higher. But there is another story here. Why have two presidential speechwriters fled from the administration for Hollywood within 18 months of each other? Republicans have often sought to tie Obama to the liberal Hollywood elite, and they may try to portray this move as evidence of the close ties between the administration and the movie industry. Of course, such a link exists – as Republicans have shored up the financial support of nearly every other American industry, Obama has leaned on Hollywood for fundraising – but I think the truth is larger and a little less partisan. The qualitative difference between the two industries named for their cities – Hollywood and Washington – has grown so small it can hardly be seen even on a big screen. The connection between Hollywood and Washington is far bigger than campaign coffers. Part of the reason it seems such a natural fit for Favreau and Lovett to find work in Hollywood is that TV and movie studio executives are snatching up as much political content as they can. Since Obama took office, we have seen the premieres of several new TV shows about Washington. At this particular moment, it’s House of Cards. We watched Political Animals and drew comparisons to the Clintons and did the same for Veep and Joe Biden. Aaron Sorkin chastised political journalists in The Newsroom, in which his fictional news team covered real-life political events with the tenacity that he felt Washington journalists are lacking. 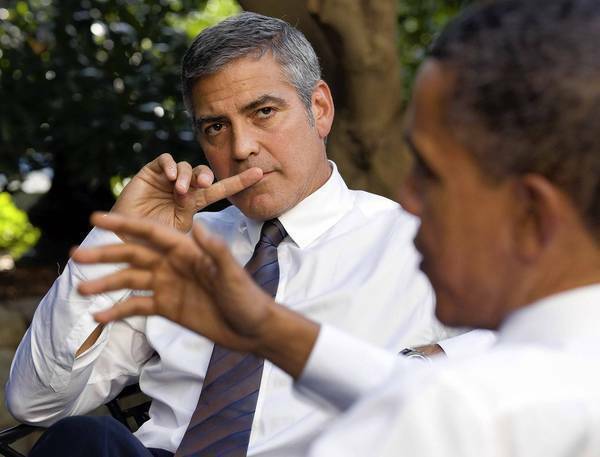 In film, George Clooney made The Ides of March, based on a play by a former staffer on the Howard Dean campaign. And Will Ferrell turned his macho buffoon character into a member of Congress in The Campaign. These narratives are catering to audiences that have a renewed interest in politics brought on by the excitement of the 2008 presidential campaign, but they also blur the line between entertainment and politics in subtle ways. With politics and entertainment intertwined in our media, we may begin to perceive them as having equal importance. Political journalism has been corrupted by entertainment, as well, with gossip about Washington figures has reached a fever pitch and politicians routinely gracing the cover of tabloid magazines. The web site Politico now has an entire page – called “Click” – devoted to covering the intersection of entertainment and Washington politics. We can read about actress January Jones’s date with a staffer from Sen. Frank Lautenberg’s office on the same site that educates us about Obama’s immigration reform plan. Today, I learned that Chris Rock supports Obama’s gun control efforts, while Bruce Willis opposes them – opinions that I probably could have guessed and contribute nothing substantive to our political discourse. But instead of blaming Willis for opining on the Second Amendment, what I’m wondering is: why are we even asking him? Even Favreau’s speeches, cinematic in their scope and imagery, represent a danger to democracy. Obama’s 2008 campaign speeches were legendary, but their majesty created an expectation of excitement that could not be matched by the drudgery of governing a bitterly divided nation. His oration promised sweeping changes to our way of life; his administration has only incremental accomplishments to tout. This may explain much of the bitterness that came from the Left in the middle of Obama’s first term. Favreau and Obama had done too good of a job in the campaign, and it left a void that his presidency could not fill. All of this implies that, for Favreau, the leap from Washington to Hollywood will not be a difficult one. After all, he is already a celebrity. Whether he has been dating a famous actress (Parks and Recreation’s Rashida Jones) or being photographed shirtless while playing a drinking game (beer pong), he has never been allowed to stray too far from the limelight. With the benefit of hindsight that comes from his impending move to Hollywood, it seems reasonable to assume that he encouraged and enjoyed this type of coverage. But maybe there is more to him than that. If he is looking for real artistic success in Hollywood – that is, if he wants to continue his work inspiring a nation – he has several examples of how to do it. Going back even further than Lovett, this trail has been blazed before with some success. Jeremy Larner used his experience as speechwriter for Senator Eugene McCarthy’s presidential campaign in 1968 when writing The Candidate, starring Robert Redford. The film, still considered one of the best ever about political campaigning, won Larner an Oscar for his screenplay, although his career sputtered after that. Marty Kaplan, who wrote speeches in the Carter administration and was deputy campaign manager for Walter Mondale’s presidential campaign in 1984, became a Vice-President of Production at Disney and wrote several screenplays, including the biting Washington satire The Distinguished Gentleman. Then there is Lawrence O’Donnell, who worked for the late Senator Patrick Moynihan and the Senate Finance Committee, before lending his expertise to a little show called The West Wing. He won an Emmy for producing the show; he also wrote several episodes and played President Bartlet’s father in a flashback sequence in the season two finale. Following in their footsteps, I have no doubt that Favreau will find some commercial success in Hollywood. He has earned enough goodwill from that crowd to get more than a few chances. And he is talented enough to succeed in a field where even many untalented people find a way to earn a good living. After he leaves, the only question that remains is: who will be the next Washington icon to follow him out the door? Will we see David Axelrod play a grumpy police commissioner to a rogue cop on the silver screen? How about John Boehner in a tear-jerker Lifetime movie? Of course, we must not forget that when Obama leaves office, he will only be 55 years old, and he will have plenty of time to explore other career opportunities, should he so choose. It may seem ridiculous to imagine right now, but we never thought an Austrian bodybuilder-turned-action-star would become Governor of California either. It’s only a matter of time the stream starts flowing the other direction, and if recent events are any indicator, it may already be happening.